Hollister Brand Cropped Summer Top | Blue and White Stripe | Size XS | COMFY! Womens Striped Summer Hollister Top Size XS. Condition is Used. Dispatched with Royal Mail 1st Class. Hollister Strappy Scoop Neck Bikini Top. Size M. Condition is Used. Dispatched with Royal Mail 2nd Class. 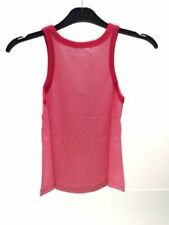 Womens Hollister cami Vest top size M. BNWT tie front and lovely wedge detail to neckline. Flattering shape. Spaghetti straps . Hollister Logo embroidered on hemline. . Shoulder to bottom: 22" Prompt postage Smoke and pet free home Selling other Hollister & a&f happy you combine postage, just message me. Label M fits 10Nicely styled soft cotton Nautical look. T unic Top. XS FITS UK10. NAUTICAL STRIPE STRAPPY VEST TOP. NAVY BLUE & WHITE. IN VERY GOOD CLEAN CONDITION. Blue and white striped hollister vest. T-SHIRT GREEN & WHITE STRIPE (MARL). with GREEN LOGO. HOLLISTER STRIPED TOP. IN EXCELLENT CONDITION. Machine wash. The back hangs lower than the front. Hollister ladies top size L. Blue and white striped, racer back. Trim around neck with bow at front. Women Hollister Top Size S Brand With Tag. Condition is New with tags. Dispatched with Royal Mail 1st Class. 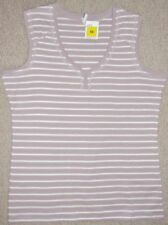 Ladies Hollister striped vest top. Size large.O nl y wo rn o nc e.
Women’s Hollister Red And White Striped Vest Top, Size M. Condition is Used. Dispatched with Royal Mail 2nd Class. This gorgeous top is very flattering on all body types due to the sweetheart neckline and the stretchy material. Hollister Ladies Blue/white Stripe Sleeveless Button Front Fit Shirt Uk M.
Hollister M stripe top.blue,white with green block piece at bottom. Sleeveless ,button front loose blouse. White vest,just seen,not included. Striped Hollister Vest size large. Condition is Used. Dispatched with Royal Mail 2nd Class. 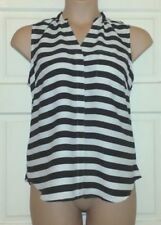 Hollister Cropped Vest Black And White Striped Size S. Condition is Used. Dispatched with Royal Mail 1st Class. VGC Pet's and smoke free home. Feel free to contact me. See my other items. Thank you for watching. Hollister Striped Vest Size Small Nwt. Condition is New with tags. Dispatched with Royal Mail 2nd Class Large Letter. 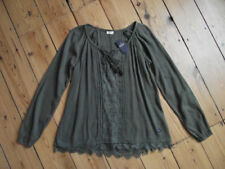 Authentic Hollister label.Size S. Ideal for a gift or a treat for yourself. Type: Vest Top. Pattern: Striped. Colour: Green. Fit: Loose Fit. Women Navy Blue / Blue Hollister Sleeveless Casual Party Peplum Top Size XS Condition is Used. Dispatched with Royal Mail 2nd Class. CROPPED -SWING -STRAPPY. LOVELY TO PULL ON OVER BIKINI. Item is exactly as shown. No defects. Please message with any questions!